Hangouts, the instant messaging service and videoconferencing Google will soon be integrated into the "Google App for Business" solution. Consequently, any company having signed a "Google App for Business" account no longer have to connect via Google+ Hangouts to enjoy: the service will operate directly from an email address. The service already offers exchange text, audio and video. it will be added the possibility to organize videoconferencing meetings (and HD promises Google) can meet up to 15 employee simultaneously. 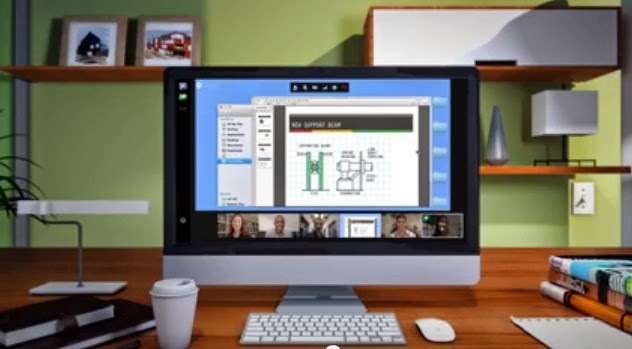 Mountain View announced a smartphone, tablet or any device using "Chromebox for meeting" solution, multi-screen support, to connect to the conference via desktop,. In addition, phone support will be available 24/7 with "99.9% uptime guarantee." By integrating B2B tools Hangouts, Google want to bring its range of instant messaging and video conferencing, previously turned public towards the professional market. In doing so, the giant IT attacks a highly competitive segment that compete for several years leading telepresence such as Cisco, Polycom or Microsoft (Lync).